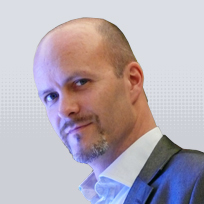 Industry is faced with the challenge of constantly growing amounts of data. 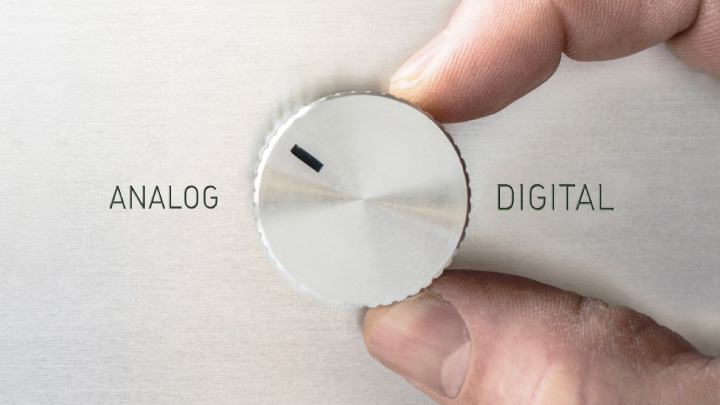 Digitisation, Industry 4.0 and the emerging Internet of Things will accelerate this trend even more. If industrial companies want to continue to be key players in the future, they need to effectively link and intelligently structure data in order to make the data available. It is even more important to continually improve customer experience by applying this know-how. The term “smart data” is used for data that has been classified and contains metadata, and can be used as the basis for transparent workflows reinforcing processes. “Clever data” is however only helpful and of use if it is processed profitably and strategically. This leads to the following question: How can we make use of classified data? To turn data into valuable information supporting processes or decisions, employees and managers must be able to work with them in defined workflows via automated data and records management. Digitised documents, classified data and boundless digital records management become even more important if an organisation works in a highly connected environment that is spread across different locations and organisations. 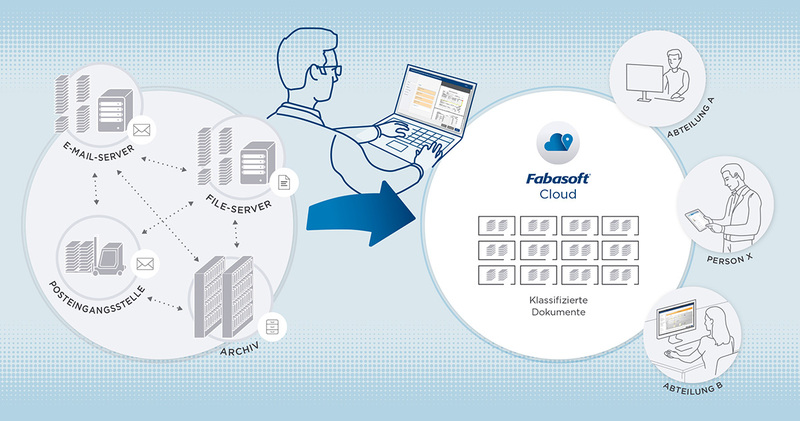 By using the Fabasoft Cloud, these complex and successive processes can easily and quickly be depicted without any programming skills. Rules are defined for different processes and are applied to information that is fed into the Cloud via different methods – for example via web service interfaces, email or scanning. For the purpose of a solid decision basis for the defined rules, the data is analysed semantically and classified. The relevant metadata is furthermore extracted automatically for decision making. 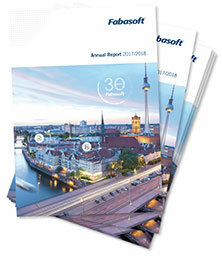 A practical example: When a maintenance report of an industrial facility or a machine is im-ported into the Fabasoft Cloud, the system not only determines the type of information and the association with a particular data archive. In fact, Mindbreeze Inspire also finds anomalies in the data. These are then used for escalations or to suggest measures for further analysis or preventive error corrections through workflow activities directed at the respective players. Furthermore, workflows are used to submit any unknown situation found in the automated data analysis to the respective expert who can then assess and resolve the situation. Mindbreeze Inspire processes this expert know-how. In a self-learning manner, the quality of automated data extraction is therefore continually improved, helping to save both time as well as effort and to reduce the risk of errors. Such workflows allow to define the parties involved according to abstract roles. Processes are therefore not linked with individual people but with roles as-signed to them. Using a Business Cloud solution to classify data and perform automated workflows hence re-sults in higher productivity, reduced error rates and improved process quality. With regard to digitisation it is however even more important to use the internal resources that are freed up in this way on personalising communication with customers and fully concentrating on their needs. Additional digital services aim at addressing and retaining customers, which in turn leads to an increased volume of data. Classified data and automated workflows can also help to meet this challenge. In a digital world, customer service and personal communication are the key to remaining successful in competing with digital native companies. Manufacturing companies must combine high-quality products with outstanding customer experience if they want to maintain and expand their market shares. A powerful and reliable Business Cloud together with concepts for automated workflows and data classification help to manage this task strategically and concisely.